Welcome to the School of Education, Health and Human Behavior’s alumni page, where you will find recent alums in the news, newsletters, and information on current and upcoming events. We are proud to share our latest Strides of Excellence magazine with you. I encourage you to check back frequently to keep up with major updates within the School. You are invited to partner with us in a number of ways. We welcome your participation, whether you are interested in serving on a program’s advisory board, participating in a School activity or event, or just want to tell us about your recent job promotion. We also encourage you to sign up for the SIUE Alumni Association’s new online community for alumni, students, faculty and staff. You can search for old classmates and professors, network with alumni, mentor current students and search for jobs at SIUE-friendly companies. 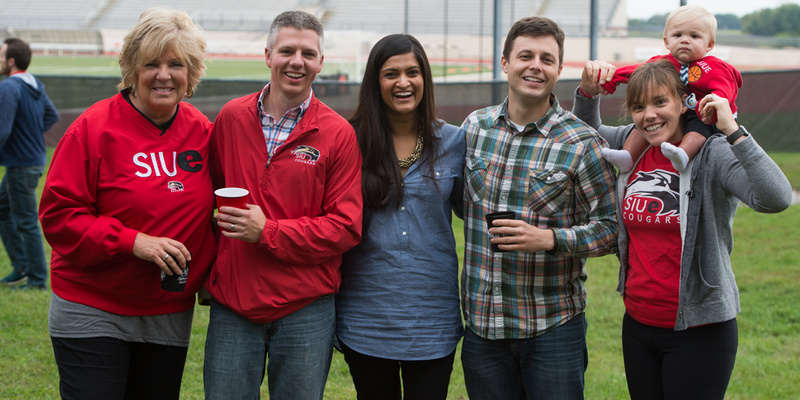 Visit the Alumni Association website to learn more about membership and events that might interest you. We are eager to know how our alumni are doing and how we can continue to best serve you. Please remember to keep us updated with your changes of addresses, marriage, births, new job, promotion, retirement, etc., by submitting a contact form. We also have a School of Education, Health and Human Behavior Facebook and Twitter account open to anyone interested in the keeping up with the School to view new stories posted weekly! We look forward to hearing from you! Feel free to contact Paul Rose, Interim Dean or Karen Wicks, Director of Development of the School of Education, Health and Human Behavior.